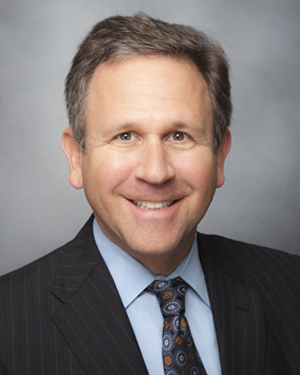 Richard S. Isaacs, MD, FACS, is CEO and executive director of The Permanente Medical Group (TPMG) and president and CEO of the Mid-Atlantic Permanente Medical Group (MAPMG), two of the largest and most distinguished medical groups in the nation. Together, TPMG and MAPMG have more than 10,000 Permanente physicians and over 40,000 nurses and staff delivering high-quality health care to more than 5 million Kaiser Permanente members in Northern California, Maryland, Virginia, and the District of Columbia. Dr. Isaacs, who was named to Modern Healthcare’s list of the 50 Most Influential Physician Executives and Leaders in 2018, also serves as co-CEO of The Permanente Federation LLC. The Federation is a consortium of all the Permanente Medical Groups in the nation, and it supports the work of nearly 23,000 Permanente physicians and more than 80,000 employees. In this role, Dr. Isaacs and co-CEO Ed Ellison, MD, provide strategic leadership and direction to all the Permanente Medical Groups, and to the national Kaiser Permanente Program. Kaiser Permanente is comprised of the Permanente Medical Groups, Kaiser Foundation Health Plan, Inc., and Kaiser Foundation Hospitals. Dr. Isaacs currently serves on the boards of directors for the Alliance of Community Health Plans and the American Medical Group Association. He is also actively involved in medical education and has served as a clinical professor of Otolaryngology at University California, Davis, School of Medicine, Drexel University School of Medicine, and California Northstate University School of Medicine. Born and raised in Detroit, Dr. Isaacs received his bachelor’s degree from the University of Michigan and his medical degree from Wayne State University School of Medicine in Detroit. He completed his otolaryngology–head and neck surgery training in New York at the Manhattan Eye, Ear and Throat Hospital/New York Hospital-Cornell Medical College/Memorial Sloan Kettering Cancer Center. Subsequently, he received his head and neck oncologic and skull-base surgical training from UC Davis. He joined The Permanente Medical Group following the completion of his surgical training in 1995. He is board certified in otolaryngology with advanced certification in head and neck oncologic surgery, is a fellow of the American Academy of Otolaryngology–Head and Neck Surgery, and a fellow of the American College of Surgeons.